Set at the bottom of the Athirapilly valley, on a slope beside the sprightly Chalakudy River, Casa Rio is a delightfully discreet hideaway. Wrapped in the lush embrace of the Athirpilly forest, contemporary designed twin floored cottages arrayed in blocks on two ends of the property, skirting the lobby and a fitness centre with a restaurant, banquet and conferencing areas on the floor above. Cobblestone paths snake through the property, past landscaped gardens dotted with flowering plants and stunted palms, to the river’s edge. Hotel Sopanam Heritage is a luxury Hotel Promoted by Sparc Group of Hotels, ideal for Pilgrim,Business and leisure travelers. Favorably located at Guruvayoor near Lord Krishna Temple, offers comfort and convenience to guests with its array of facilities capped with the friendly and warm Service. The hotel has 57 rooms and 5 luxury suites feature modern interior decorated with rich colors and stylish furniture. All rooms have satellite TV, wifi access, and a bathroom with modern amenities. Rasoi the Multi cuisine Restaurant offering a wide varieties of authentic Indian,Chineese and Continental Dishes, The Splash serves a wide varieties of Wines and Beers with an open air Ambiance at poolside .Room service is also available with delectable culinaries. Laundry and dry cleaning facilities, shuttle and Car Rental services, Assisted travel Desk Concierge are also available. Hotel Sopanam Heritage is the perfect place for Marriages and social events with our Banquet Halls complete to meet your total requirements. There are a total number of 51 rooms in the hotel; all of which are well appointed. Every room in the hotel Casino in Thrissur is air-conditioned. The suites are all well furnished and are equipped with every facility. 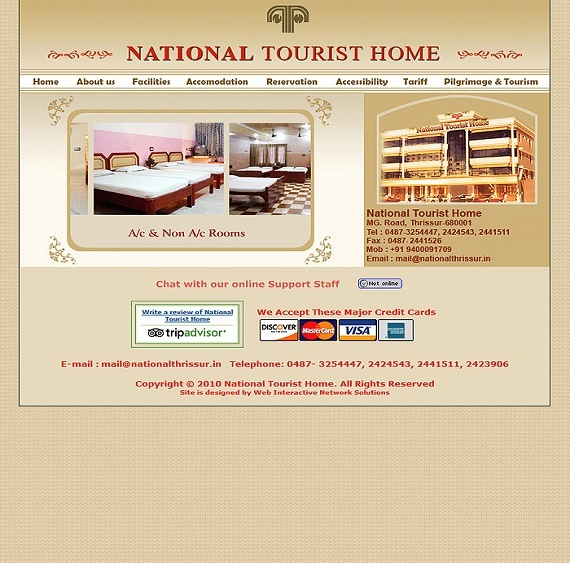 National Tourist Home situated at the heart of the City, nearly 100 mtrs from Vadakkunatha Temple. It is very close to the Bus stand & Railway station. Rooms here are a combination of utility and luxury with all modern amenities. There are fully furnished A/c Rooms, Non A/c Rooms, Single Rooms, Double Room, Four Bedded, Seven Bedded, A/c and Non A/c Conference Hall are available for comfortable accommodation. You get the efficiency of a hotel and the feeling of a home. 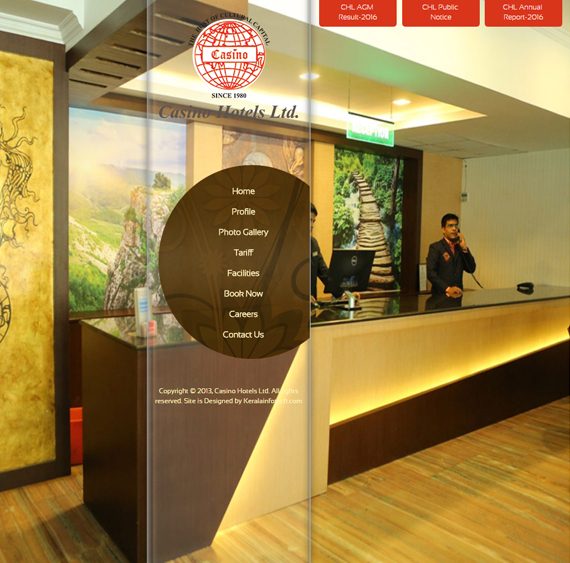 Be it pilgrimage or business, at our Tourist Home you can experience the comfort, giving greater value for money - truly a home away from home for any traveler. 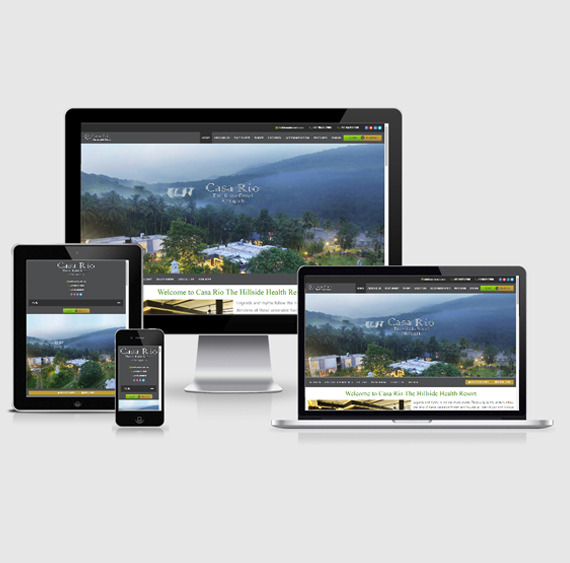 We are providing all the amenities and hospitality to our guests. Since our hotel is very near to the famous temples in Thrissur, it is really comfortable to the pilgrims. We provide all necessary services around the clock like Internet Cafe, STD, ISD, FAX & DTP & Xerox, Snacks corner, ATM counter etc under one roof. So our guest need not wander for these facilities. And also we provide very safe and secured atmosphere for our guests. We, The National Tourist Home have been providing our guest, a very clean and healthy atmosphere and a good service for years. That is why we stand unique among our competitors. When the warmth and quality of Hotel Chandana Inn joins hand with Guruvayoor’s renowned hospitality, you can be assured that your experience at Chandana Inn Guruvayoor will be exceedingly special. Hotel Chandana Inn is one of the most preferred hotels in Kerala. 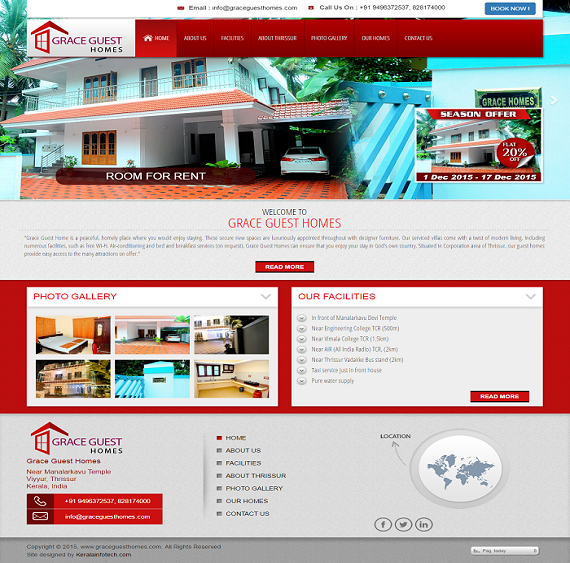 We are located at in North Nada, Outer ring Road, Guruvayoor, Thrissur, Kerala offering guests a wide array of comforts and services, also is representative of the warm hospitality synonymous with the people local to this region. Our Hotel has gained immense popularity and appreciation in the hospitality industry owing to its excellent facilities & stylish interiors. We desire to serve our guests with all the comforts and facilities they have been searching for; everything planned to make your every moment as worthy as it could get! 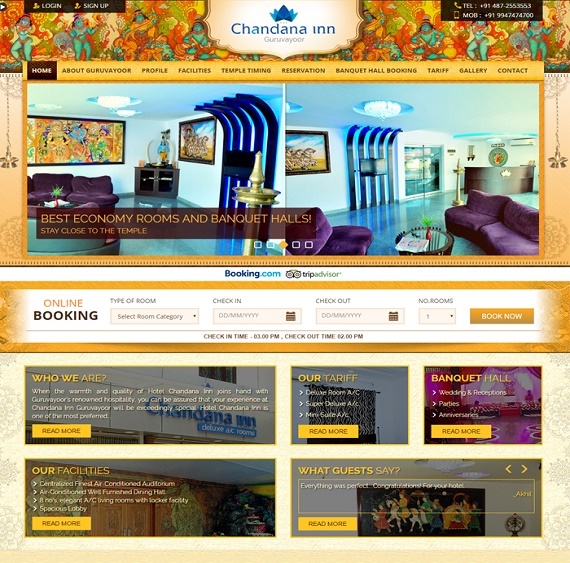 Hotel Chandana Inn builds on its brand name by constantly innovating with the times, upgrading facilities and offering the latest features that traveler's desire. 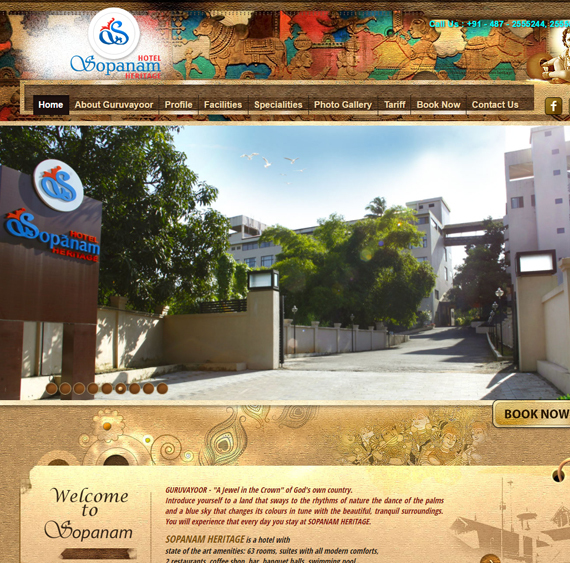 We desire to serve our guests with all the comforts and facilities they have been searching for. 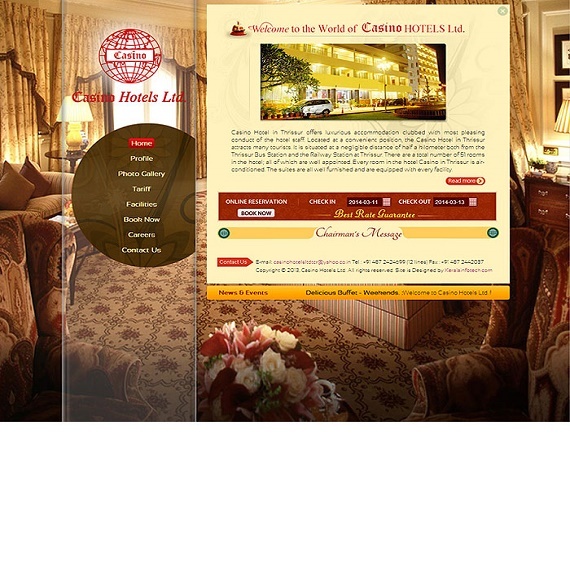 Casino Hotel in Thrissur offers luxurious accommodation clubbed with most pleasing conduct of the hotel staff. Located at a convenient position, the Casino Hotel in Thrissur attracts many tourists. It is situated at a negligible distance of half a kilometer both from the Thrissur Bus Station and the Railway Station at Thrissur. There are a total number of 51 rooms in the hotel; all of which are well appointed. Every room in the hotel Casino in Thrissur is air-conditioned. The suites are all well furnished and are equipped with every facility.